More Wildlife sightings and the Moon! 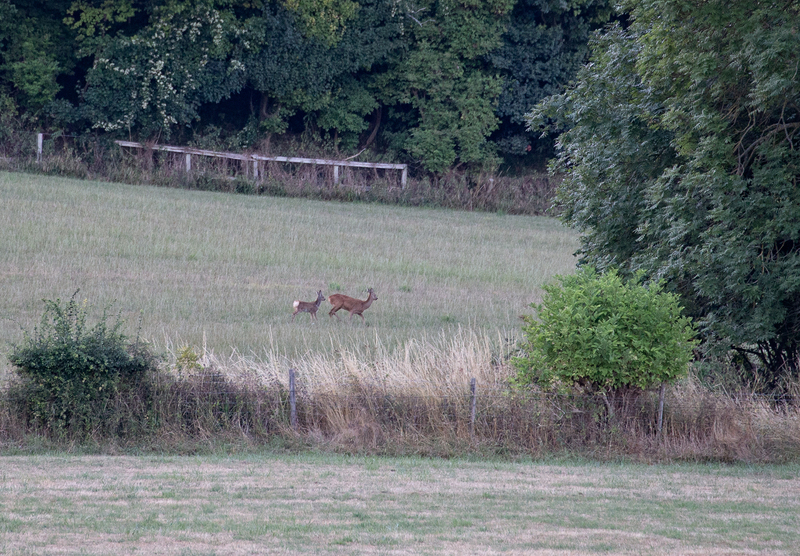 Home > Evening walk > More Wildlife sightings and the Moon! I’ve put a picture of the moon on here as we were expecting to see an eclipse and a Red Blood moon on Friday 27th July but it wasn’t to be as our heatwave decided to break on the Friday and the clouds rolled in making it impossible to see, I had taken a picture of the moon one evening in the week so I’m afraid that will have to do! Back to the wildlife I am lucky to catch glimpses of the local wildlife. 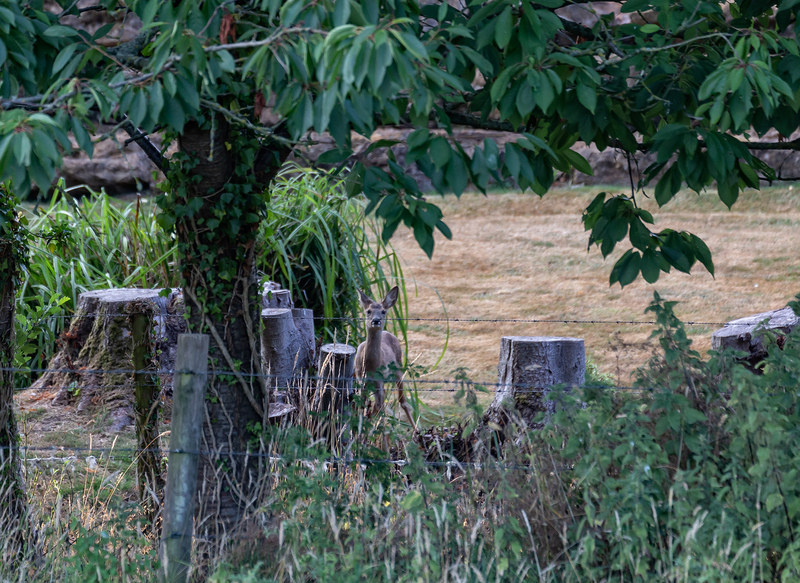 I saw the Roe deer doe with baby where I usually see the Hares and the young Roe deer was in a garden, I was convinced it was a garden ornament it stood so still with it’s big ears but I had to check it out and soon realised it was a youngster and then mum appeared and then ran off, so nice to see. 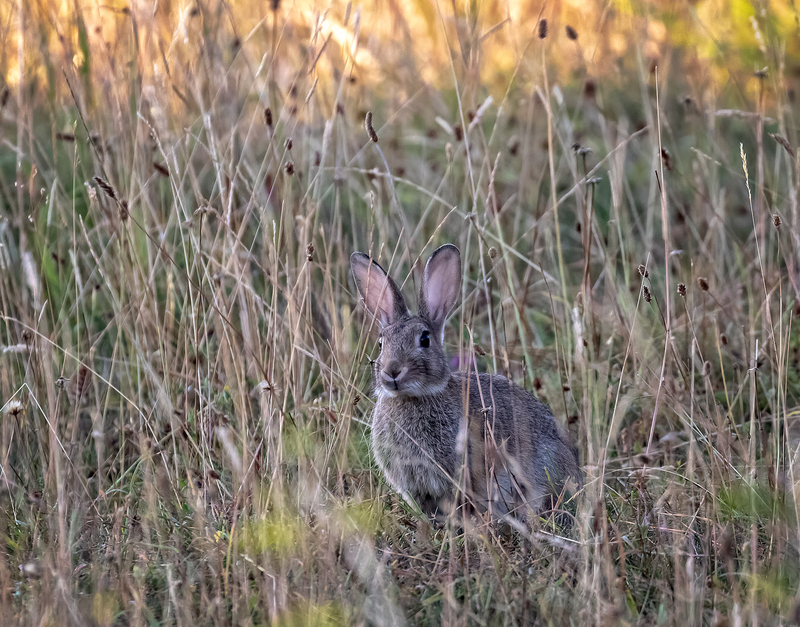 When I was looking for the Hares I spotted the Rabbit couldn’t resit an image, he looks very cute and very healthy! 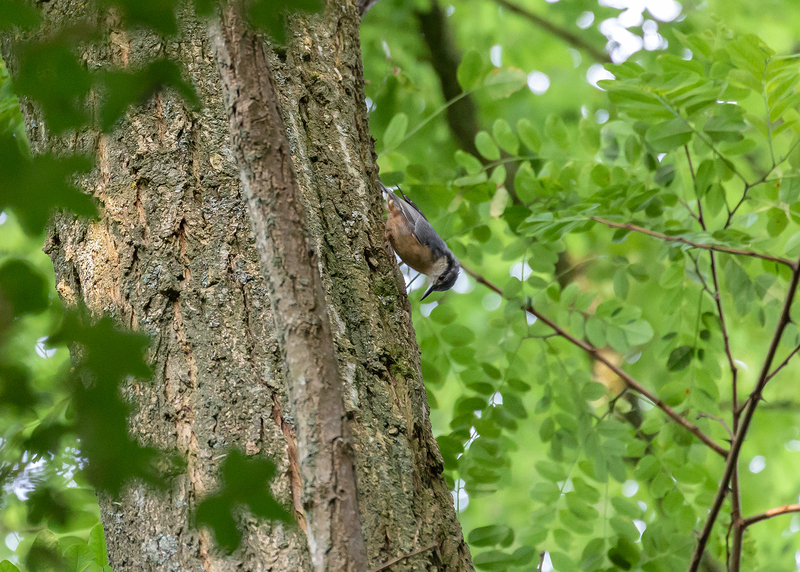 Close to home I heard tapping in the tree, I knew it was not a Woodpecker and suspected a Nuthatch and after a while I spotted him in the tree busily looking for food.